SFV-CAMFT - "Creating Authentic Connections: Healing Relational Trauma within the Family System"
"Creating Authentic Connections: Healing Relational Trauma within the Family System"
Discount student price with registration code. This presentation identifies what creates Authentic Connections and the barriers that often prevent us from being our authentic self with others. Incorporating multigenerational transmission and attachment styles demonstrates how relational and emotional patterns are often the result of childhood upbringing. Participants learn how to identify and minimize "trauma responses" in the present resulting from unresolved childhood trauma and how to develop earned secure attachment with others. The benefits of being free from the past allow the authentic self to emerge and develop authentic connections with others. Give 3 examples of how emotional dysregulation in the present is a reaction to unresolved childhood trauma. Identify 3 barriers that prevent creating an authentic connection with others. Identify 3 ways that multi-generational transmission and attachment form life-long relational and emotional patterns. Explain 3 ways that clinicians can help their clients develop an earned secure attachment as adults. Barbara Nosal, Ph.D., LMFT has worked in the mental health and addiction treatment field with adolescents and their families for over 20 years. She has held managerial and clinical positions in a variety of treatment settings with a private practice in Newport Beach. She holds a doctorate in Transpersonal Psychology and dual master's degrees in human services and counseling psychology, is a Licensed Marriage and Family Therapist and Licensed Alcohol and Drug Counselor. 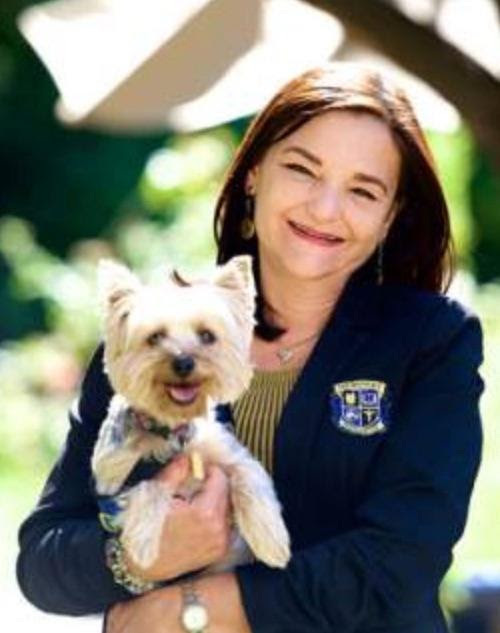 Dr. Nosal is the founding Clinical Director, and Chief Clinical Officer at Newport Academy, where she oversees the treatment of adolescents, ages 12-20, and their families in residential and outpatient programs. Course meets the qualifications for 1.5 hours of continuing education credit for LMFTs, LCSWs, LPCCs, and/or LEPs required by the California Board of Behavioral Sciences. CEU completion certificates will be awarded when participants complete the course evaluation after speaker presentation. No cash or check, credit card only (we accept Visa, Mastercard, Discover). Email us for Los Angeles, San Gabriel Valley, and Santa Clarita Valley chapter reciprocity. To Register: Please click on the register button at the top-left. If you are not logged in yet and are a member of our chapter, please be sure to log in here first.